As chief risk officer and executive committee member of Atlas Insurance PCC, Ian-Edward Stafrace is passionate about effective enterprise risk management and seeking opportunity from risk. Here Alan Craig and Enrico Federici of Mazars in Malta, talk to him about technological, regulatory and business model changes and how protected cells are enabling innovation. What do you consider as the main opportunities brought by the digitalisation of your industry in the coming years? Technology has the potential of transforming the entire insurance value chain including product development, customer acquisition, underwriting and claims management. Capital is flooding into the hundreds of new InsurTech start-ups around Europe and the world. On the back of more extensive use of data analytics and artificial intelligence, we are seeing rapid innovation in areas such as chatbots, telematics, Internet-of-Things and blockchain based automated smart contracts. InsurTechs can accelerate the disintermediation of traditional distribution channels. Some technology driven firms are taking this a step further by considering the establishment of protected cells to efficiently take over the insurer role. This is especially where they feel they have more data, risk or technology knowledge and ideas than the primary carriers, are confident in the potential profitability and can gain the capacity support where required from the reinsurance market. With the increasing purchasing power of millennials and digital natives, more insurance is being purchased directly online. With full access to the EU single market, cells based in Malta can be ideal digital insurers. How are you responding to the challenges of digitalisation? Cells targeting consumer business are a growing niche for Atlas PCC with its origins, expertise and risk appetite as an insurer. EU Accession and local PCC legislation provided Atlas the opportunity of international expansion through third party owned cells. In 2006, Atlas became the first direct insurer to convert to a PCC in the European Union, and the first licensed PCC in Malta. Cells can enable new ideas to be incubated or new business models to be attempted at a far lower cost than a standalone insurer, and without the dependency on a third party principal. This helps organisations that can be wary of indirectly providing intellectual property to insurance principals or fronters. In order to spur innovation, InsurTechs often adopt a philosophy to fail fast, fail cheap, and learn continuously. Fitting with this philosophy, should ventures turn out to be unviable in practice, despite different model iterations, these can typically be closed faster in a cell than a standalone company, and the whole enterprise would have come at far lower cost and up front capital commitment. How do you plan to respond to business model transformation and related risk and compliance support over the coming years? PCCs help break the barrier to entry for new captives or start-up insurers unintentionally created by regulation, thanks to their capital, cost and governance efficiencies especially in a Solvency II regulatory environment. Well-resourced PCCs, like Atlas, can provide cells with the regulatory expertise, infrastructure and economies of scale only usually found in well-developed incumbent insurers. Over the past decade, in preparation for the Solvency II regime that went live in 2016, Atlas kept adapting its risk governance and reporting procedures in a way that allows cells to focus on their specific risks and business plan while its core provides broader support to ensure regulatory and good governance requirements are met. Common key governance functions including actuarial, risk management, compliance and internal audit apply across the PCC together with common regulatory processes and reporting, as one single legal entity. Under Solvency II, a cell owner will typically only need to invest own funds equivalent to the cell’s notional solvency capital requirement, which, with small undertakings, often falls far below the typical standalone insurer minimums. As one of the leading insurers in Malta, Atlas maintains substantial unrestricted surplus core funds over Solvency II capital requirements that, subject to our risk appetite, can be lent to cells. At all times, cells retain full protection of their assets, from liabilities of the core or other cells per legislation. Our core has also assisted in micro-testing business models before cell formation including InsurTech ventures utilising block-chain smart contracts and cryptocurrency. How are you fostering digital innovation? Where there are barriers to entry for captives and start-ups including InsurTechs, PCCs like Atlas are enabling such new entrants into the insurance market promoting innovation. With such flexibility, and the various solutions PCCs can offer to challenges not even yet identified, this structure has only scratched the surface of its full potential. In our local domestic business in Malta, technology, including digital media, is one of Atlas’s largest departments as we believe in investment in digital innovation. This helped us move to paperless, improve efficiency and provide additional customers services. Complementing our online services, back in 2012 we were amongst the first locally to launch our popular chat facility, which we now consider to be a virtual branch. In terms of regulatory transformation, what are the greatest concerns for Atlas in light of the increase and complexity of regulations? When operating internationally, we need to adapt to different regulations across countries. Despite attempts at harmonisations, even within the EU you will find differences between countries in consumer regulation, mandatory risk pools, insurance taxation and other local compliance expectations and practices. This hinders the development of truly Pan-EU products and services. Where possible, organisations can obtain economies of scale through joint ventures and associations to share compliance knowledge and resources. As discussed, we see this occur naturally with the PCC structure where individual cells gain from the shared talent of the wider company. Alan Craig is the partner responsible for business advisory services at Mazars in Malta. He currently leads Mazars Malta’s internal audit team with particular focus on the insurance industry. 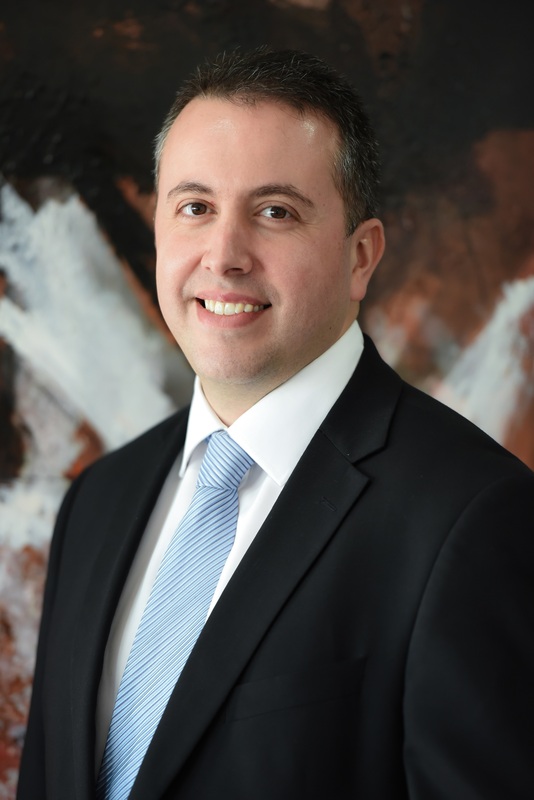 He joined Mazars Malta in 2004 after having gained experience with Deloitte & Touche, Ernst & Young and served in a senior position in one of Malta’s leading communication companies. In his role within the Business Advisory Department, he was responsible for various projects including due diligence, corporate valuations, financial forecasting and business modelling. A graduate from the University of Malta, Alan Craig is a certified public accountant and a member of the Malta Institute of Accountants. He recently lectured externally on the subject of corporate governance, risk and internal control.